I've just realised I've got a very pink/copper theme going on here which sums me up greatly so maybe we should just call this Gift Guide for Lauryn but nevertheless, I hope it is useful for gifts for you homeware-loving pals. 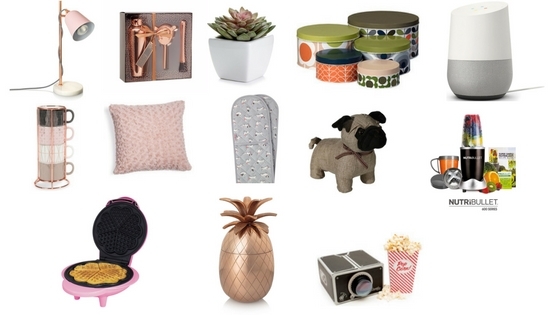 What is your favourite piece of homeware? This is a great little home gift guide, there's quite a few items that I'd happily display in my room so might have to put those on my christmas wish list! I'm so tempted to buy it too, it looks so good! Treat yourself! !